Finding the right broker can be a tough for any trader, especially newbies. To help, WikiFX, a new platform for choosing brokers, went live with its full International version with languages in Shanghai on 13th February. 上海, 2019年2月15日 - (亞太商訊) - Themed "WikiFX Attracts Global Attention with Data and Wisdom", the grand summit kicked off in Shanghai on February 13, as WikiFX joined hands with the best security brokers and important guests from the forex industry to discuss the value of financial data, and international forex development strategies. WikiFX, a top-notch young company providing a transformative financial app, has released the full international version with languages, providing users with trends and updates in the forex sector, help in avoiding fraudulent brokers, and offering advice for the never-ending problems facing all investors. Finding the right Forex broker is crucial especially for the newbie trader, in order that he learn the proper techniques of trading, able to safeguard his money, and compound his investments. This is where WikiFX stands tall, as a platform for finding the best brokers, now established in its full international version. The aim of the platform is to offer users actionable insights about brokers. Through detailed services like correlated broker inquiries, downloadable credit reports, complaint and safeguard, broker monitoring, broker identification, credit assessment, risk exploration and many other services on this platform, to help with their trading. The WikiFX platform covers a wide range of broker ratings directly from regulators, local governments and overseas markets. It has already rated more than 5000 foreign exchange brokers from 100 nations, and gathered the qualifications of nearly 80% of brokers at the international level, from 120 national regulators. WikiFX ratings given to brokers are essentially recognized by regulators worldwide, lending support to the WikiFX international version, and the new App with languages as it takes to the international market and becomes available as the "WikiFX App" on Google Play and the Apple Store. App users can set up private accounts with their preferred transactions, search for credit assessments of brokers through the platform, and receive a quantitative assessment of the regulations of each broker. In other words, as a platform to help traders, it is also highly credible and globally influential. 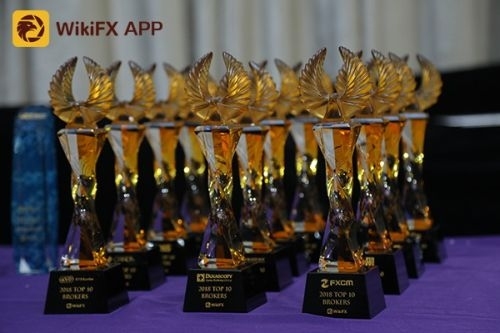 The 2019 WIKIFX SYDNEY SUMMIT, regarded as a top annual event by the international Forex industry, will be hosted by WikiFX on 1st March in Sydney, Australia. Many influential Forex elites will be speaking at the event and sharing Forex experiences, while Forex investors worldwide are invited to attend, participate and enjoy! WikiFX is a third-party service provider helping clients to ask whether a Forex broker is formal, legal and real. WikiFX provides a comprehensive background on every Forex broker, formal information, regulation, license, risk exposure, credit and valuation, platform verification and monitoring, complaint solving and investor rights protection, credit report download and every related inquiry: a platform for selecting your broker. WikiFX was created not only to help traders, but to provide an effective method for brokers to expand their market share. In addition to helping them to boost their business through the WikiFX Flagship store, this platform helps them to build brands. Investors get help from the platform to identify the strengths of brands like cTrader, while the platform also increases the default costs for fraudulent brokers. For more information, please visit www.wikifx.com, or email [email protected].